Do you even lift, Princess? The Princess Industrial Complex isn't going anywhere. Instead of fighting against a landslide of pink, I choose to rewrite the narrative of what it means to be a princess, and in doing so reject pink's stigma as a color of weakness and frivolity. 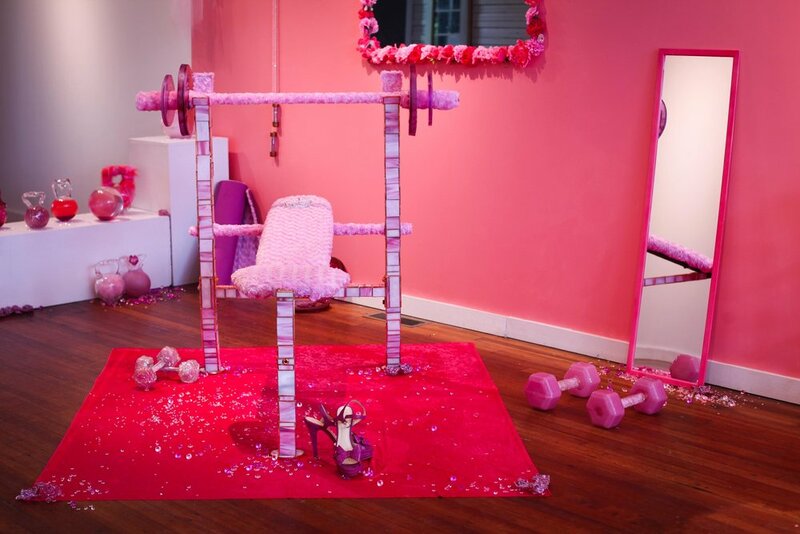 Enter a decadently adorned, glittering space in which femmes of all types are welcome to build strength, backbone and confidence. 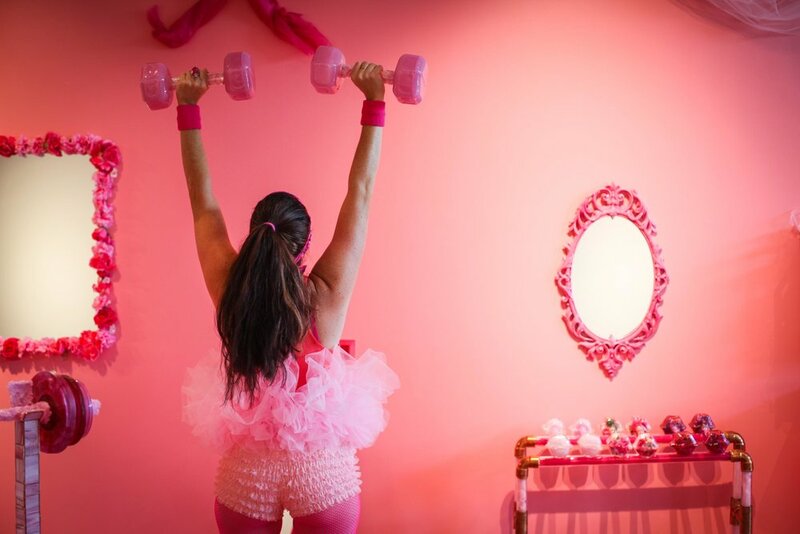 This journey is just getting started - get your glow on and share how you #liftlikeaprincess with me. 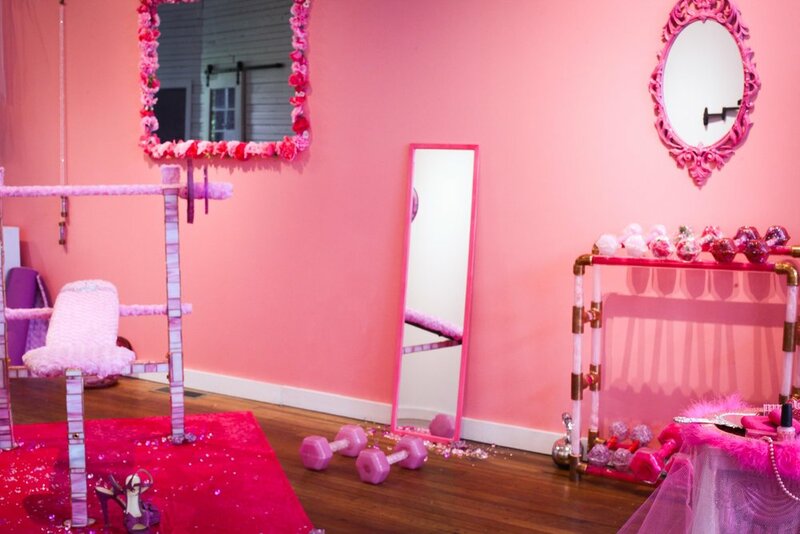 Scenes from Lift Like A Princess at Chrysler Museum Glass Studio, 2016, "Sisterhood Selfie Station"